The Ministry of Transports and Infrastructure (MTI) signed with the European Investment Bank (EIB) a loan of EUR 300 M for the underground line Drumul Taberei-Universitate, because the loan agreement has to expire on November 22, Minister Radu Berceanu announced yesterday, HotNews reports. “We have finalized, together with the signatures, the loan of EUR 300 M for an extremely important and necessary segment of the underground, namely Drumul Taberei – Universitate” (M5). Berceanu also stressed that EIB expressed its wish and wants to increase the loan as much as necessary, but on the condition that the Romanian party would bear the remaining costs. 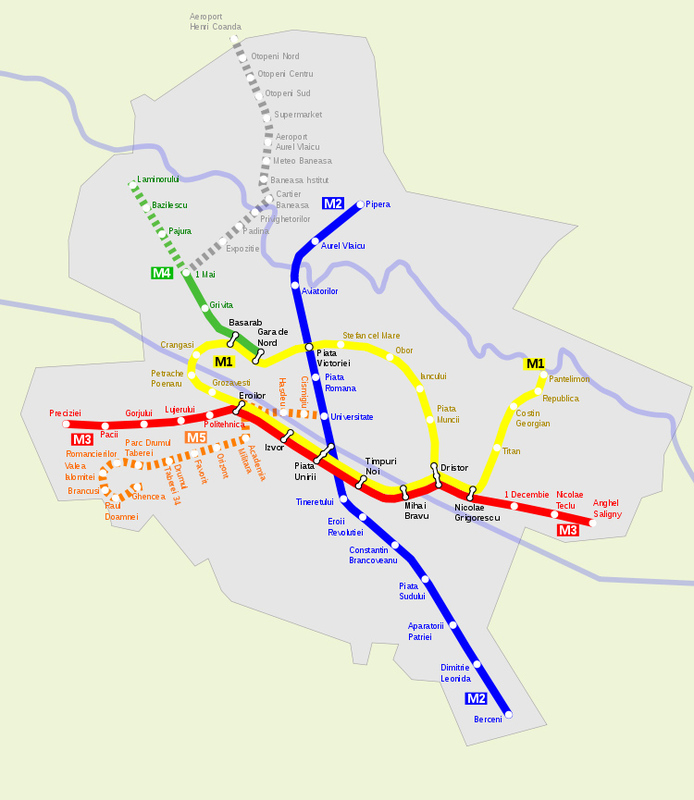 Drumul Taberei – Universitate segment is part of Line 5 of the underground, which will connect Drumul Taberei and Pantelimon neighbourhoods, and has a length of 6.1 km. The project includes eight stations, namely Brancusi, Romancierilor, Park Drumul Taberei, Drumul Taberei 34, Favorit, Orizont, Academia Militara and Eroilor. The total costs of the line are estimated at EUR 740 M.